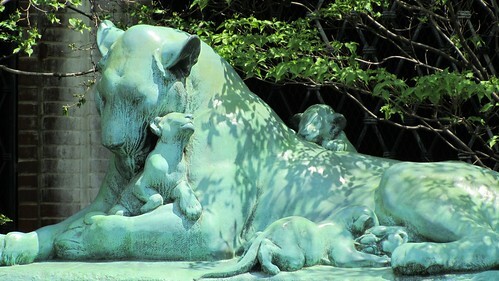 This statue near the entrance set the tone for the animals I expected to see. 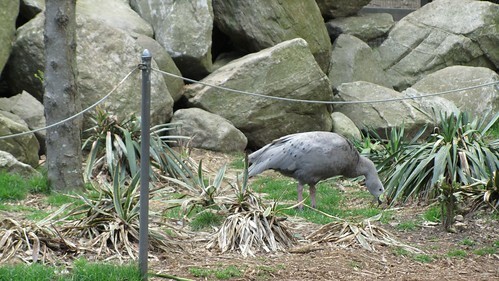 This is the kind of animal we saw at the mild mannered Prospect Park Zoo. It was about 12 acres, not large, but fun nonetheless. Paul has been dying to visit every zoo so we finally set the time aside. Word of advice, don’t go to this zoo on an empty stomach expecting to grab something at their cafe – unless you want a bag of pretzels and a can of soda. 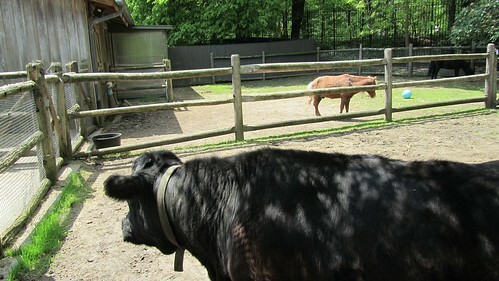 A better option and one that many zoo patrons had taken up is to bring your own little picnic. They have several tables and some very nice green lawns that I saw several groups gathering at with their sandwiches and carrot sticks. It would have been refreshing if I wasn’t hungry. I wandered the zoo rationing my pretzels and plotting my lunch. 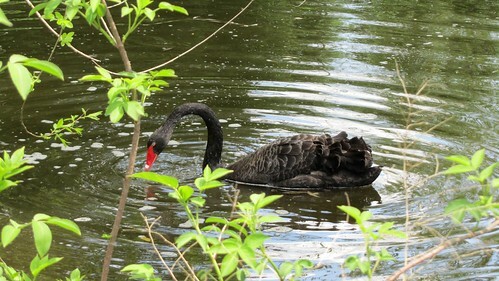 This black swan was striking as it glided across the pond. These were in the "barn"
The zoo was beautifully manicured but it’s target audience was definitely much younger than me. 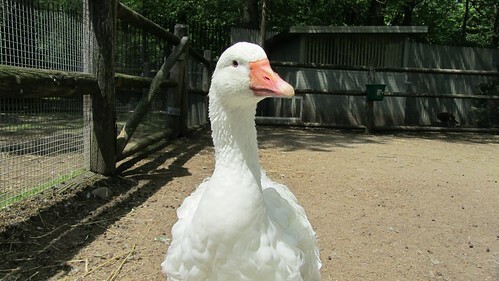 There were farm animals like a sheep and a cow in one area, a small aviary in another and lots of ducks and geese in the man-made ponds. There were no bears or gorillas but there were a variety of small monkeys and even a kangaroo. The kangaroo might have been the best part because it wasn’t in some deep pit but rather laying on the grass right in front of us. The only thing that kept us from the kangaroo was a loose rope hanging a couple feet off the ground. 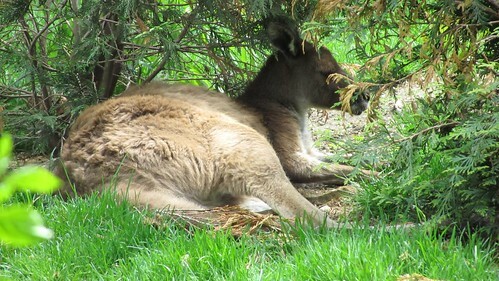 The highlight was the kangaroo, mere feet from us. this rope fence was the same fence that stood between us and the kangaroo. The whole experience was very peaceful and relaxing. I never felt over exhausted as I tend to after a trip to the San Antonio Zoo. The SA Zoo is wonderful but it’s scope is daunting. I imagine it is not unlike the Bronx Zoo in that way. But I’m sure we’ll be finding out for ourselves soon enough. Getting there was relatively easy, we were able to ride the Q train and then walk just a couple of blocks along the border of Prospect Park before we found the zoo right across from the Brooklyn Botanic Garden (adventure for another day, although on full stomachs I’m sure we would have tackled it after the zoo). After our outing we took a bus to Cobble Hill in search of “Tex-Mex” the food of our homeland :) The food didn’t exactly pan out but it wasn’t all bad either. 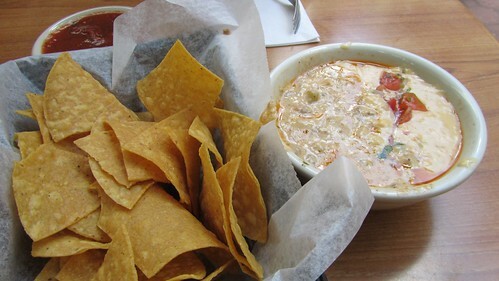 Lobo had been highly recommended and I think the ambiance was right and the chili con queso was delicious (a little watery though) but the enchiladas weren’t quite right. Something was off but we’ll probably be back regardless. I should mention we sat outside! People in this town love to sit outside, in Texas I always considered outside to be a ridiculous attempt at looking cool, in most cases the heat was so overbearing that you sweated into your meal but here outside is so pleasant. I imagine Lobo’s backyard dining area is even more alluring after the sun goes down and their strings of lights are turned on. 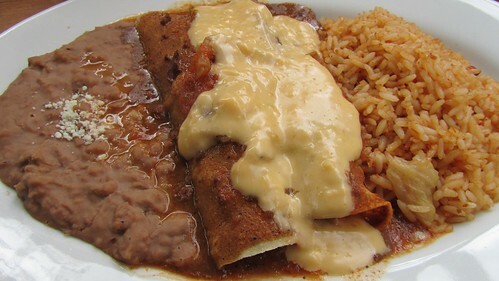 enchiladas at Lobo in Brooklyn. The neighborhood was lovely and very welcoming. I’m not ashamed to admit that I had us follow a young couple pushing a stroller for several blocks so I could get an idea of where they lived. You know, where is a good place for a family? 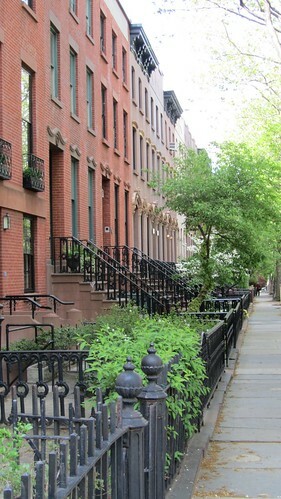 We don’t have kids and I don’t see them in our near future but living in this city it’s nice to imagine which brownstone we’d live in or to debate the merits of sticking with a doorman building or a historic walk-up and in which borough. You know, if we had all the money in the world to make these decisions with. I don’t think they caught on but that might have been because I was a terrible tail. I kept losing them. It seems like every time I looked up to see where they were they slipped behind a tree or turned a corner. Paul acted appalled by my interest in seeing where such a couple might live but the king of “goose-chasing” was really happy to be wandering through a new neighborhood. We ducked into a few shops and perused some antiques, some clothes, and even considered ice cream before deciding to get our long overdue favorite at Vive la Crepe in Union Square. When we finally decided to head back to Manhattan I could see the look in his eyes wondering what was around the next corner beyond the park. Our stroll revealed a picturesque, peaceful, and quiet beauty that was hard to resist if it weren’t for all the cars. How is it that cars are allowed to take up so much real estate? A question for another day. 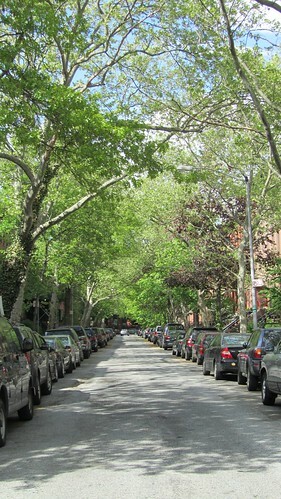 cobble hill tree & car lined street. This entry was posted in everything i've blogged, food, locations and tagged Brooklyn, dining out, Train, walking, weekend adventure, zoo. Bookmark the permalink.